In 1396 the university Studium generale, later called Universitas Jadertina was founded in Zadar as the first higher education institution in Croatia. Upon its renewal it is organized as fully integrated university with 25 departments, a total of 5800 students enrolled in all study levels and 596 employees, 416 of them holding scientific-teaching, teaching and assistant titles. The University of Zadar points out as one of its priorities not only the international but also the inter-university cooperation with all the related universities and institutes in Croatia as well as the development of such mechanisms and methods that will facilitate the establishment of international cooperation. The implementation of all the mechanisms of the Bologna process in the academic year 2005/2006 opened the possibilities for further development of the University of Zadar, especially in the field of the international relations. The most important feature of the Bologna process is the implementation of the ECTS, which enables faster and easier flow of people and knowledge on all the study programmes and scientific and research projects. 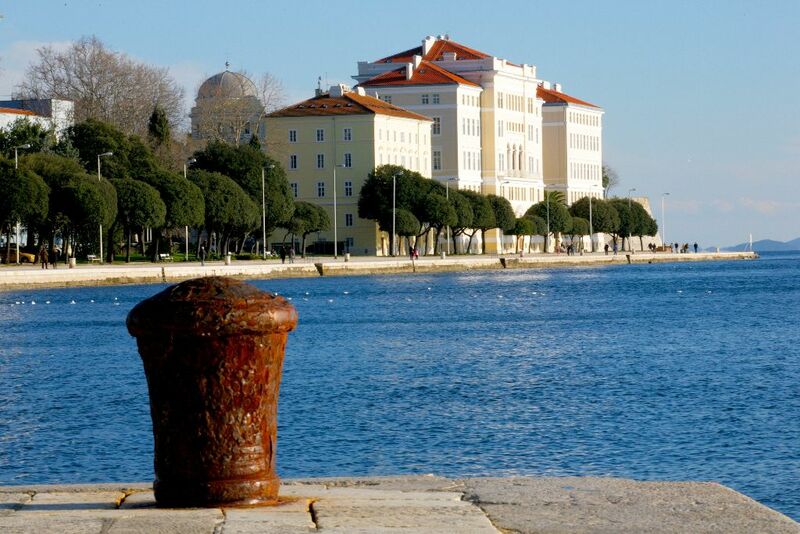 At the beginning the IRO of the University of Zadar mainly dealt with Tempus projects and bilateral agreements. In 2009 the University of Zadar was awarded Erasmus University Charter (Erasmus code HR ZADAR01) and in 2010/2011 the first exchanges took place (13 incoming students and 4 incoming staff compared to 21 outgoing students and 12 outgoing staff). In 2011/2012 there were 37 incoming students and 15 incoming staff in comparison with 40 outgoing students and 16 outgoing staff. The University of Zadar participates also in other mobility programmes, such as CEEPUS and Fulbright. During the participation of the University of Zadar in the Erasmus Mundus project JoinEUSEE II, three students, two academic staff members and one administrative staff member got the JoinEU-SEE scholarship.